Paul Tickenoff, who has been a long-time leader and contributor in men’s gymnastics, lost his battle with ALS on Nov. 25, 2018. Best known as a judge, Paul was a high-level gymnast, coach and gym club owner. At this time, no information is available regarding services, and we will share any information we receive. Paul began his judging career at 18 and has judged age-group, Special Olympic, NCAA and international competitions since 1974. 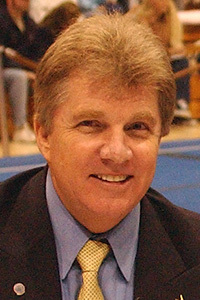 A national team member for four years, his competitive career included a team gold and all-around bronze medals at the 1969 Cup of the Americas in Mexico City. In 1970, Paul was a member of the bronze-medal World University Games Team that competed in Turin, Italy, and an alternate to the 1970 U.S. World Championships Team. As a coach, Paul trained several gymnasts to national titles, two top-two team finishes, and a gold medal team title at the Senior AAU National Championships. From 1982-2000, he has acted as owner/director and/or coach for gymnastics clubs, camp programs, and his mobile gymnastics program, The Gym Mobile, that provided gymnastics instruction weekly to as many as 105 schools. Over the years, Paul has participated and volunteered in numerous gymnastics workshops, clinics and conferences as a technician, instructor and organizer for the continuing education of other gymnastics professionals. He served as meet referee for Region 1 Championships for over 15 years and served as Region 1 chairman from 2011-2013. 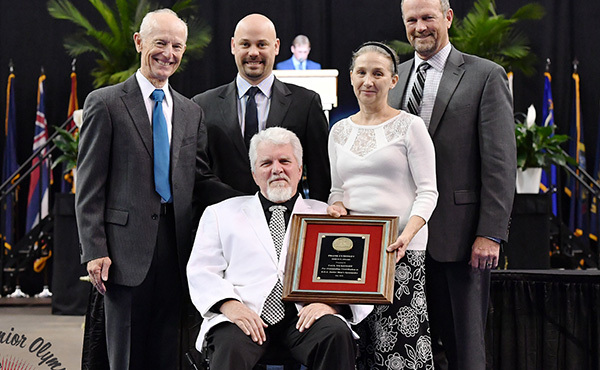 Paul received the USA Gymnastics Service Star Award in 2017, recognizing his many years of contributions to the men’s program, and the Frank Cumiskey Award in 2018, the highest service award possible for contributions to the Junior Olympic Program. Paul will be missed by our entire community, and our thoughts and prayers go out to his family.